Plantar fasciitis is one of the most common chronic pain conditions affecting the heel and foot. In fact, prevalence estimates have suggested that about one in every ten adults will experience symptoms related to plantar fasciitis at some point in their lives. If you’re suffering from plantar fasciitis pain, there are treatments that can help. But first, how does plantar fasciitis occur? At the bottom of the foot, there is a long strip of connective tissue that runs from the ball of your foot to the heel. This is the plantar fascia. It provides support for the arch on the bottom of your foot. Given its location on the bottom of the foot, this plantar fascia is highly susceptible to injury or strain. Inflammation of the plantar fascia can place increased pressure on the surrounding tissue, nerves, and other structures. This may lead to severe pain. This information can help your doctor determine the underlying cause of your pain. Plantar fasciitis pain most often occurs when the foot experiences excessive strain or stress. This strain, overuse, or excessive stretching on the plantar fascia leads to the development of small tears and inflammation along the ligament tissue. In most cases, the pain has a sudden onset, though there is a small group of patients who report that their symptoms developed more gradually and have worsened over time. 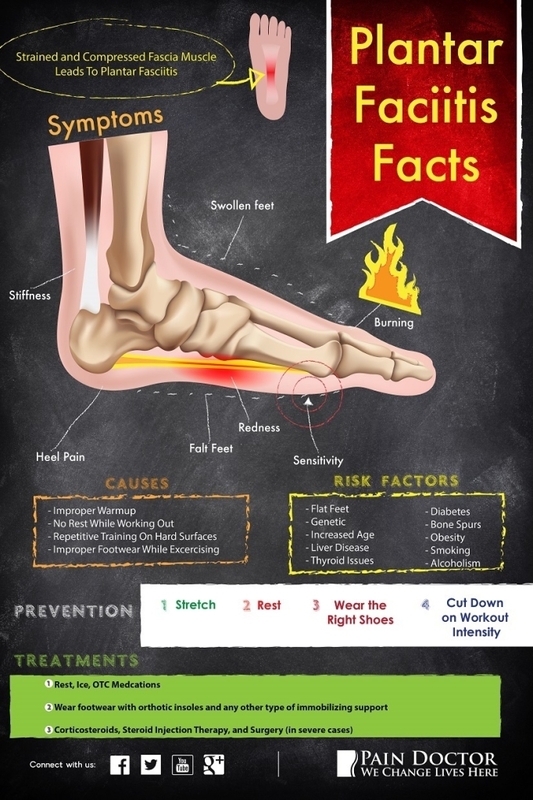 While these are the most common risk factors, plantar fasciitis pain and discomfort can happen to anyone. Patients with more mild symptoms of plantar fasciitis can generally treat their pain and discomfort with at-home treatments. For example, your physician may recommend that you give the plantar fascia ligament plenty of rest following the injury. This will give the tissue time to properly heal. If you’re suffering from pain, give yourself plenty of time to begin the healing process. In fact, full recovery from injury to the plantar fascia ligament may take a month or more, though you may no longer be experiencing any symptoms of pain or discomfort to the area. Your physician may also recommend applying a cold compress to the area. This can help with reducing swelling. Cold compresses using ice can generally be applied twice a day for ten to 15 minutes. Avoid leaving the ice pack on the area for longer than 15 minutes, as this may cause surface tissue damage. For more moderate to severe cases, your doctor may recommend physical therapy. During this treatment, your therapist will teach how to do highly specified stretches and other exercises. The goal of these exercises is to loosen and strengthen the damaged plantar fascia ligament. Your physician may also suggest that you wear a splint on the foot at night, and speak with you about the importance of proper footwear. Patients with plantar fasciitis should ensure that their shoes provide adequate overall cushioning and support, as well as sufficient arch support. Proper arch support not only prevents the arch from falling, but it also reduces the risk of strain to the plantar fascia. Patients may take an over-the-counter (OTC) pain reliever for acute flare-ups of pain. Non-steroidal anti-inflammatory drugs (NSAIDs), such as ibuprofen or naproxen, may be particularly beneficial for providing pain relief, as these medications also help relieve inflammation. Some cases of plantar fasciitis can lead to chronic, unremitting pain that requires more significant intervention. In these instances, the pain significantly affects a person’s ability to perform typical daily activities. For these patients, steroid injections, such as intra-articular steroid injections, may help. This procedure provides highly effective and almost immediate relief from severe pain by interfering with the transmission of pain signals to the spinal cord and brain. The procedure is non-invasive and can be done in an outpatient setting. Though relatively rare, some instances of plantar fasciitis pain are unremitting despite numerous treatment attempts. In these cases, surgery may be the only option. The procedure typically utilized to relieve the symptoms associated with plantar fasciitis involves cutting the plantar fascia ligament to relieve excess tension. Surgery is only necessary in rare cases, after other more conservative treatment approaches have failed. One of the most common pain conditions affecting the heel and foot is plantar fasciitis. This condition is characterized by pain, discomfort, stiffness, and swelling within the arch and along the bottom of the foot. Plantar fasciitis pain typically has an acute onset as the result of an injury; however, some instances of the condition may occur more gradually. There are a number of treatment options available. These may range from more conservative interventions, such as physical therapy, to more interventional forms of treatment, including steroid injections. In rare cases, surgery may be recommended to provide pain relief. If you’re suffering from extreme plantar fasciitis pain, it may be time to talk to a pain specialist. They can diagnose the cause of your pain and suggest treatments that work. You can find a pain doctor in your area by clicking the button below or looking for one in your area by using the tips here. Lee HS, Choi YR, Kim SW, Lee JY, Seo JH, Jeong JJ. 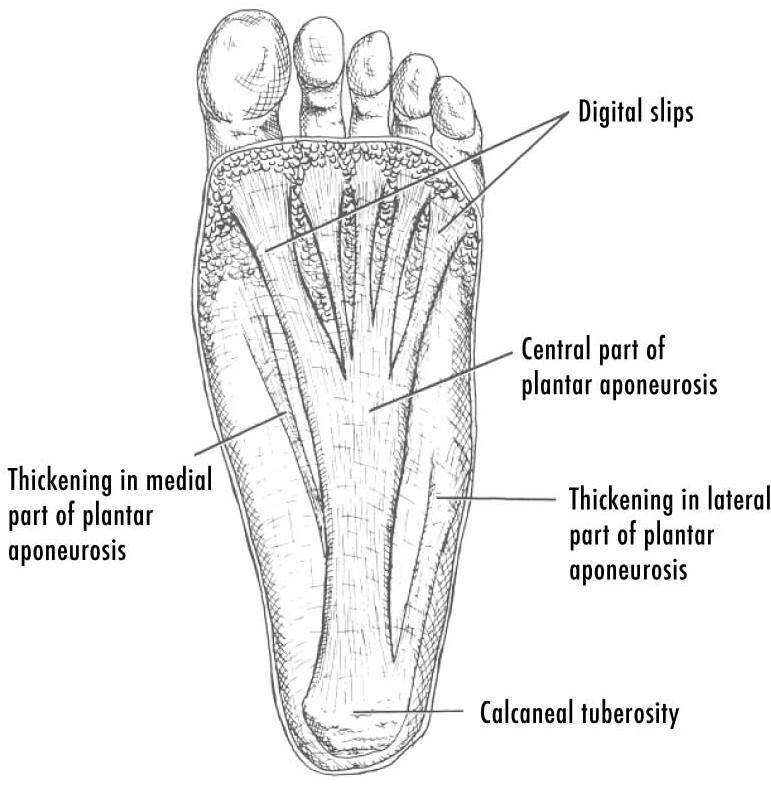 Risk factors affecting chronic rupture of the plantar fascia. Foot Ankle Int. Nov 2013; [Epub ahead of print].